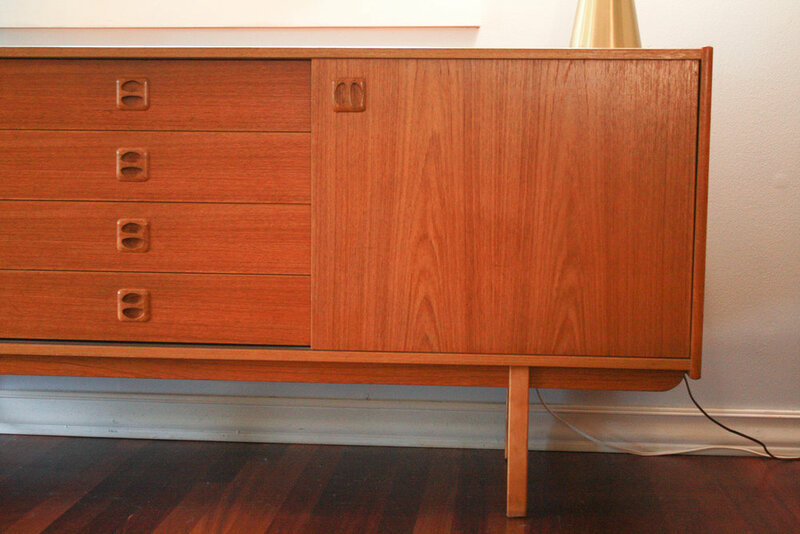 This is a Super Cool Mid Century Modern Teak Credenza or Sideboard. Would work perfectly as an entertainment center for your TV or record player. Or throw it in the dining room and increase your overall storage capacity. Lighter Teak coloring and wood grain. This piece features sliding doors with plenty of interior storage for your media components or your fine china & silverware. The Middle section of the piece has a series of 4 pull out drawers for added storage. 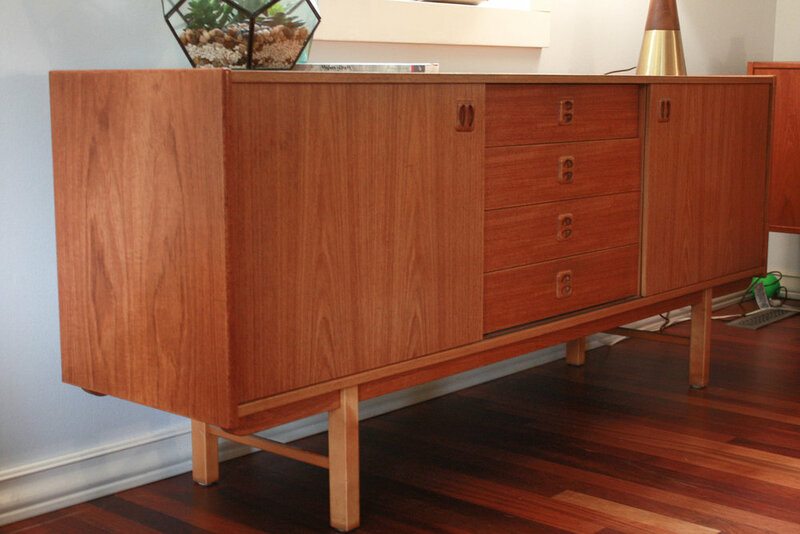 Notice the sculpted Teak pulls. The leg detail is very elegant and gives this piece the Modern floating look that is so sought after by decorators. 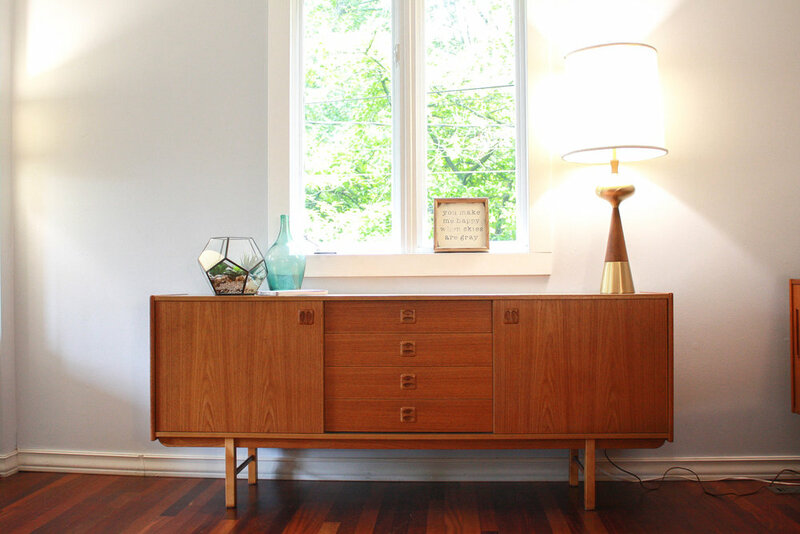 Overall this an incredible original Mid Century Modern piece. Overall in Excellent vintage condition. 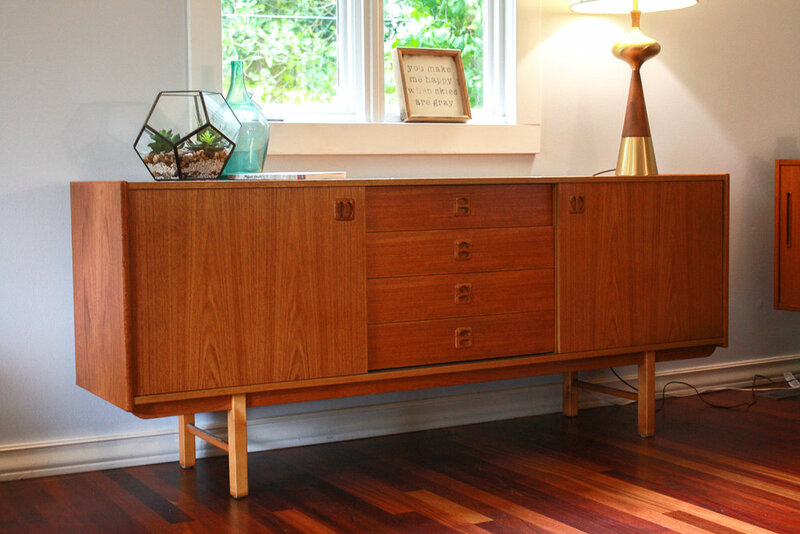 As is the case with any mid century piece, there are light scattered marks, but nothing that takes away from the beauty or value of this piece. 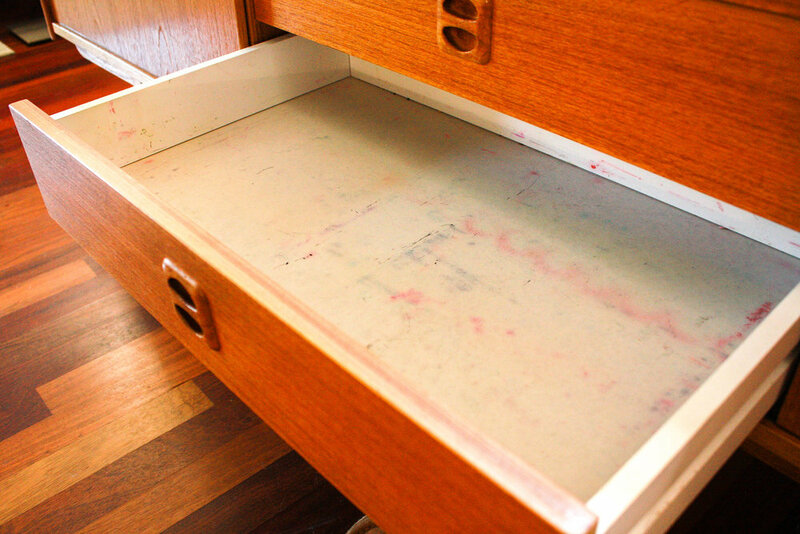 The interior drawers look like they may have stored crayons at one point but for $5 you could buy contact paper or felt to your liking and have them looking good as new. Ready to be enjoyed for another 50+ years ! !